As much as you try to fight the tide of time and deny the (dare I say) "ageing" years, nature has its way of making you process time. One such milestone for our group of friends was the birth of our very first "group" baby! When our closest pals announced that they were 'pregnant', we were all obviously super excited for the happy couple. But this was a first in our group and we weren't quite sure how to play the roles of "aunties" and "uncles" just yet. What's a baby shower without yum cupcakes! Don't miss the little 'baby' themed decor pins on the cupcakes. 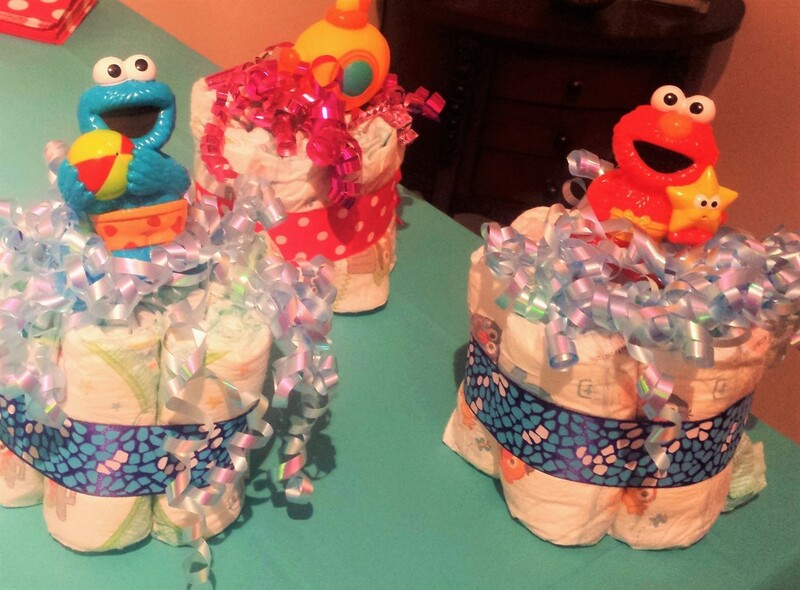 These were my absolute favorite...check out these cute little DIAPER BUDDIES! Display of onesies...its like the heavens were sending a special delivery!